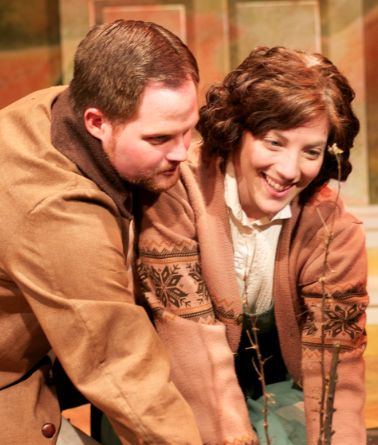 Karl Sine (as Edward) and Heather Pattengale (as Milli) share a rare moment of tenderness. Opening night of any performance at the Rosebud Theatre is arguably a different experience than any other night. Sure, the cast may have the typical jitters and the crew behind the scenes might be worried about getting everything right, but the real difference is the atmosphere in the crowd. On opening night, all of the important people – us media types excluded, of course – are in the audience. Friends and family of the cast, fellow Rosebud students, as well as the key people who bring the play to the stage, make up the majority of the crowd. So, the laughter is louder, the reactions are more dramatic and the applause is just a little longer than it might be during a typical performance. However, the cast and crew of Rosebud’s latest production, “Queen Milli of Galt”, deserved all of the extra credit during the premiere performance on Sept. 9. The story begins with a young journalist showing up in the yard of elderly Millicent “Milli” Milroy of Galt, Ontario. She is pressing for an answer as to why Milli has had her tombstone engraved stating she is the wife of Edward VIII, Duke of Windsor. Milli allows the journalist one question, and we are taken back to the fall of 1919 to witness how the unlikely romance between Milli and Edward, then known as the Prince of Wales, began. Although the first act of the play is full of a lot of critical moments – and admittedly a lot of humorous ones – as the lights dimmed for intermission, I felt tired, as if I’d been directly involved in a tedious argument. The yelling matches between the guys and the shrill banter between the ladies took away from the comedic aspect of some of the scenes, at least for me. However, the first act did a fine job of establishing the plot, and successfully paved the way for the arguably more engaging and entertaining second half. The set was minimal yet elegant and the props were limited. Lighting was used more than anything to create the right mood and atmosphere. This gave the cast more space to interact both with one another as well as the audience. “Queen Milli of Galt” featured a relatively small cast, but they were chosen well by director Morris Ertman. Heather Pattengale was a perfect choice for Milli, who portrayed a feisty yet passionate young woman. Karl Sine was equally as entertaining, delivering some of the wittiest one-liners as Edward. He and Steve Waldschmidt, who took on the role of his assistant, Godfrey, played off one another throughout both acts and made for some of the most humorous scenes. Alysa van Haastert, Marie Russell, and Emma Cobb made up the rest of the cast as Mona, Mrs. Milroy, and the Journalist, respectively. All delivered memorable performances. 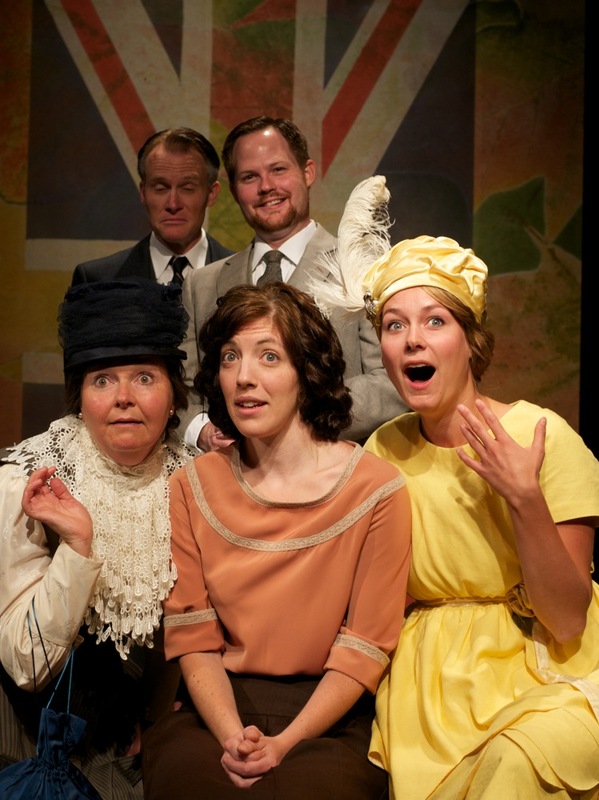 Gary Kirkham’s “Queen Milli of Galt” has been performed across Canada, and now it has made it’s way to the Rosebud Theatre stage. A ticket gets guests a full buffet dinner followed by the show. Queen Milli will be on stage until Oct 22. For tickets, call 1-800-267-7553 or visit rosebudtheatre.com.